Home announcements Apple iPhone 4S iPhone5 launch News iPhone 5 Is Almost Here Indeed - Apple Store Is Down! 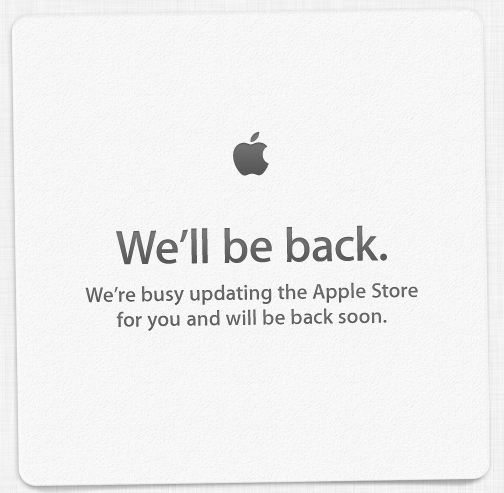 iPhone 5 Is Almost Here Indeed - Apple Store Is Down! 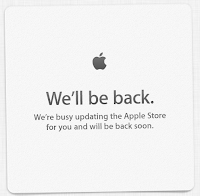 To the merry of every iPhone fan sitting and counting minutes till Apple’s event starts - Apple Online Store has gone down for updating! This does once more confirm that the iPhone 5 launch is quite reasonably expected later on today! We've seen this traditional downtime earlier- before the iPhone 4S announcement. This is to give Apple’s technical staff required time to prepare the store for the latest round of Cupertino goodies! We’ll soon be back with the whole event coverage, so stay tuned and keep calm- It’s almost here!